Books from the Old Royal Library were given to the British Museum in 1757 and 1823. Those books which were duplicates within the British Museum’s collection were then sold, so the Royal Library was able to reacquire some of them, including this book. 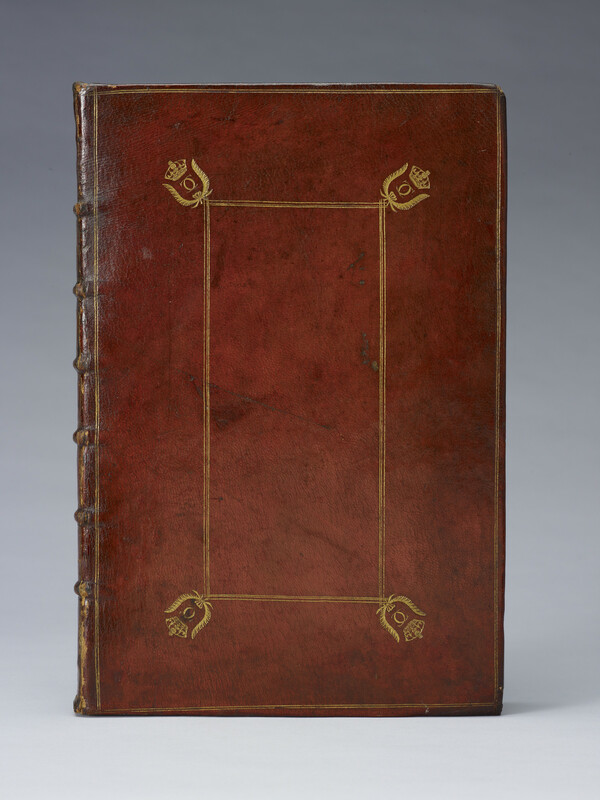 Contemporary bindings of red goatskin with triple-fillet border to central panel, with cipher of Charles II (a crowned pair of addorsed Cs between pair of palm fronds) to each corner, spines in seven compartments with I.M (for John Morris) at the base of each spine, lettered in the second with the rest with the crowned cipher of Charles II, all edges gilt.